That last one, attending any public school, really opens up school choice. Luckily, children all over Florida already have the option to enroll in Florida Virtual School. 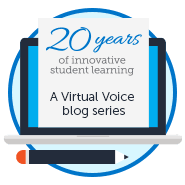 That’s one of the many perks of being virtual – meeting the student where they are. 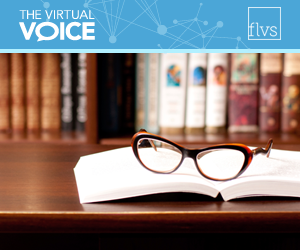 A few years back though, an unintended consequence from a new public school funding formula made it a little more difficult for some students to be able to take Florida Virtual School (FLVS). While free to most Florida residents (as any public school is), students on the McKay Scholarship (for students with disabilities) were no longer covered through the Florida Education Finance Program – meaning they had to pay for FLVS with their scholarship that was intended for private school tuition or transportation to a different public school. 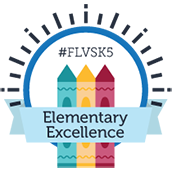 That made it hard for families to take FLVS courses. This year, we are happy to share with you that “House Bill 837 – Education programs for Individuals with Disabilities” corrected this problem! Starting July 1, 2016, students on the McKay Scholarship will be able to take up to two FLVS courses a year without it affecting their scholarship in any way. We’re right there with you Steve! This is a great step forward by the state of Florida! This entry was posted in Educator Edition, Parent Edition and tagged Choice in Education, Disabilities, Education Legislation, Educational Law, financial aid, Florida School Choice, Funding, McKay Scholarships, Private School, School Choice, Special Needs on May 4, 2016 by Holly Sagues.